Fuse ODG is urban music’s most thrilling new talent in years, and the brightest star of the Afrobeats sound taking over the clubs, the airwaves – and the charts. 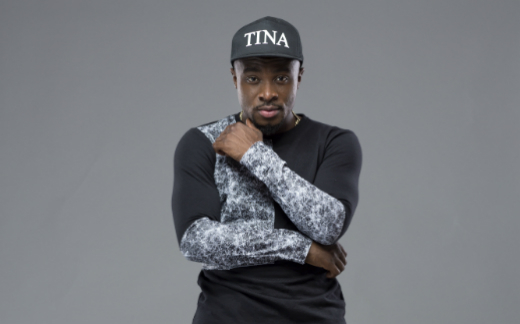 Fuse ODG’s career moved into a different gear after a trip to Ghana in 2011, where Reggie Rockstone, the legendary ‘Grandpapa of Hiplife’ took Fuse under his wing. Listening to more and more cutting-edge African pop, rap and dance music, he met with leading Ghanaian producer Killbeatz to create the international hit ‘Azonto’. After its viral release in 2011, with a guest spot from Ghana’s leading female rapper, Itz Tiffany, ‘Azonto’ became a YouTube dance sensation – securing over 12 million views. It’s also an anthem that has spread the Ghanaian dance craze around the world, and led to invites for Fuse to perform to tens of thousands of fans across Europe and Africa. The viral dance video for Fuse’s second big single, ‘Antenna’, accumulated almost 2 million views on YouTube in late 2012, and the next person to succumb to its addictive qualities was hip-hop legend Wyclef Jean. Performing alongside Fuse at a show in Ivory Coast, Wyclef became obsessed with the song, and jumped on the remix to stunning effect. This collaboration catapulted Fuse to another dimension: ‘Antenna ft Wyclef Jean’ spent 13 weeks in the UK Top 40, peaking at 7, while the video has over 7 million YouTube views. It’s also the highest selling urban record of the year. ‘Azonto’ and ‘Antenna’ both went to number 1 in the iTunes World Chart as independently-released singles – and have been playlisted across the board on BBC Radio 1, 1Xtra, Capital and Kiss. His message and music fizzes with the most irresistible kind of fun, but Fuse is also serious about using his music to change lives. With his third single ‘Million Pound Girl’ debuting at no.5 in the UK charts, and a debut album in the works for 2014, featuring more collaborations with the likes of Wyclef and Sean Paul amongst others, and a host of new hits, Fuse ODG is the one to watch right now.